The Ridges Luxury Homes Las Vegas. Exceptional master planed Summerlin community located in the south west of Las Vegas. 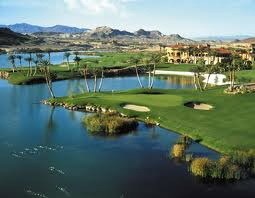 The Ridges with all its amenities and golf retreatbrings the Great Las Vegas valley to higher realms. Luxury homes and golf frontage estates express the overall appeal of the community. Luxury Real Estate in the link below are offered at $1,00,0000 to $4,000,000 Contact me for more information of this one of a kind community in Summerlin Las Vegas or any Home for sale in The Ridges. Jonathan Abbinante Realtor Broker owner, perfecting sales representation for higher end properties in the Greater Las Vegas Valley since 97′. Las Vegas and Henderson Nevada luxury Homes Realtor Jonathan Abbinante is a diverse unique Realtor. Buyers require representation to be clear with solid back bone producing results immediately within the guidelines of the buyers character and taste. Sellers of luxury real estate need a Realtor with appraisal knowledge and cutting sales representation to help achieve there goals. Luxury Homes Agent Jonathan Abbinante understands the needs of both buyers and sellers of higher end properties, luxury townhomes, high rise condos and is consists to achieve there satisfaction.